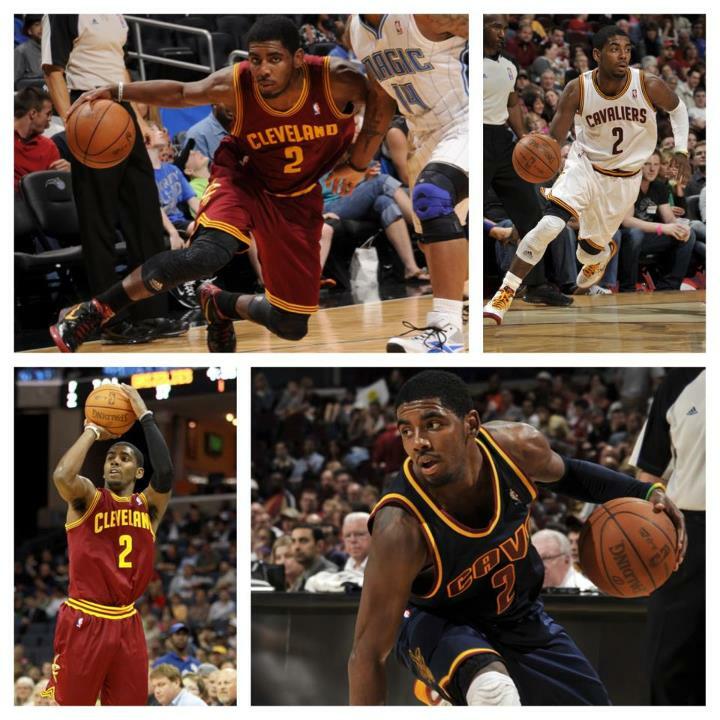 Kyrie Irving is the recipient of the Eddie Gottlieb Trophy as the 2011-12 Kia NBA Rookie of the Year, the NBA announced today. Irving totaled 592 points and received 117 first-place votes from a panel of 120 sportswriters and broadcasters throughout the United States and Canada. Minnesota's Ricky Rubio finished second with 170 points and Denver's Kenneth Faried finished third with 129 points (one first-place vote). Players were awarded five points for each first-place vote, three points for each second-place vote and one point for each third-place vote. Irving was a three-time winner of the NBA's Rookie of the Month Award, for games played in December/January, February and March. Irving was named MVP of the BVAA Rising Stars Challenge at NBA All-Star 2012 by scoring 34 points, including going 8-for-8 from beyond the three-point line, and dishing a game-high nine assists. The Oklahoma City Thunder's James Harden is the winner of the 2011-12 Kia NBA Sixth Man Award as the league's best player in a reserve role, the NBA announced today. Harden, who led all NBA reserves in scoring (16.8 ppg), came off the bench in 60 of 62 games he appeared in, helping Oklahoma City finish with the NBA's third-best record (47-19). Harden received 584 of a possible 595 points, including 115 of a possible 119 first-place votes, from a panel of 119 sportswriters and broadcasters throughout the United States and Canada. Louis Williams, who led the Philadelphia 76ers in scoring (14.9 ppg) despite not starting a single game, finished second with 231 points. Jason Terry of the Dallas Mavericks, who won the award in 2008-09, finished third with 81 points. In order to be eligible for this award, players had to have come off the bench in more games than they started. Players were awarded five points for each first-place vote, three points for each second-place vote and one point for each third-place vote. Harden, the third overall pick of the 2009 NBA Draft, was a model of consistency, scoring in double figures in 58 of 62 contests, while averaging 4.1 rebounds and 3.7 assists in 31.4 minutes per game. 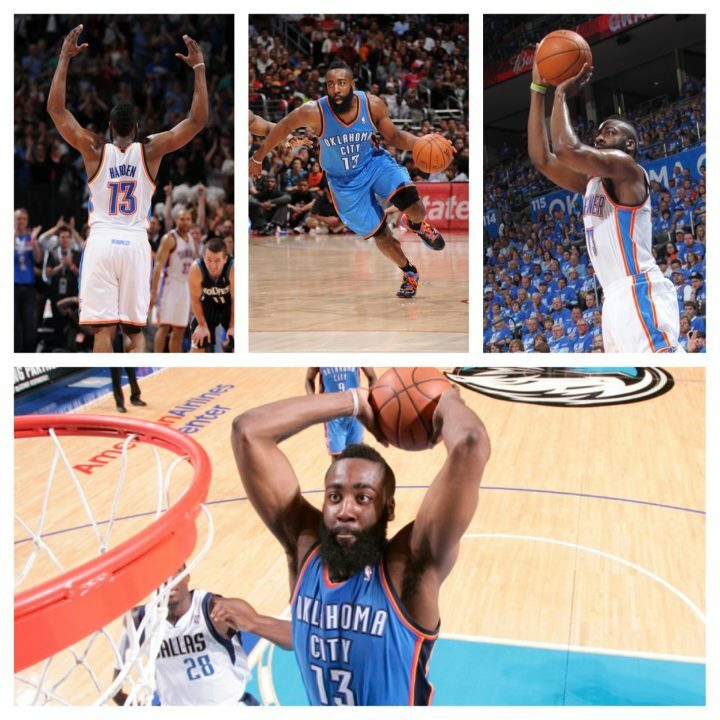 He topped the 20-point mark on 15 occasions, with the Thunder going 14-1 in those games. 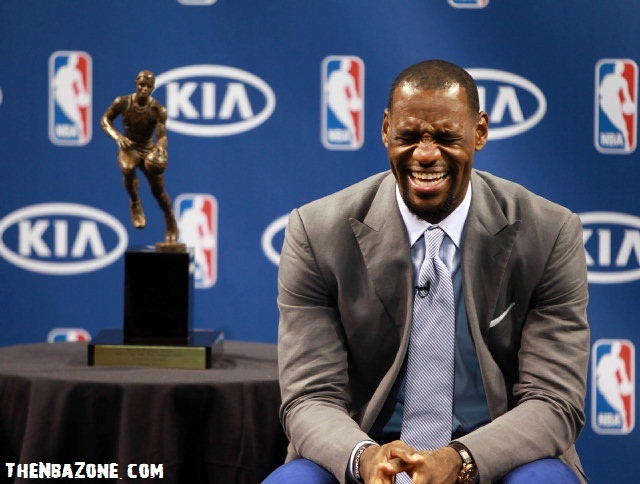 He shot .491 from the field, .846 from the free throw line, and .390 from three-point range. 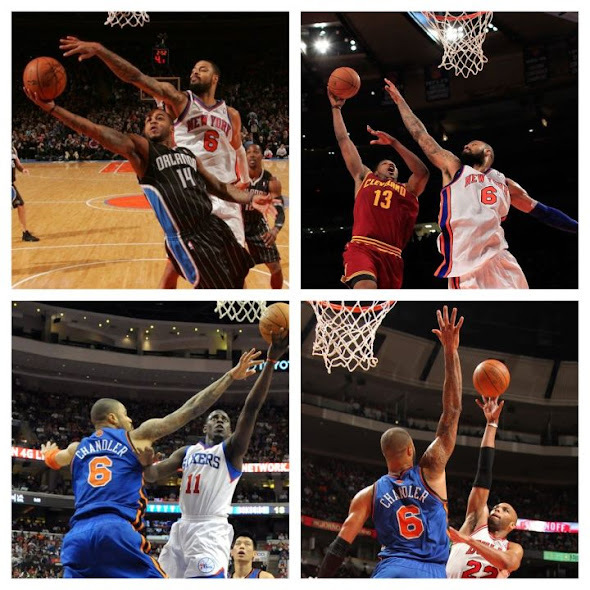 Tyson Chandler of the New York Knicks is the recipient of the 2011-12 Kia NBA Defensive Player of the Year Award, the NBA announced Wednesday. Chandler becomes the first player in franchise history to earn the honor. Chandler received 311 points, including 45 first-place votes, from a panel of 121 sportswriters and broadcasters throughout the United States and Canada. Oklahoma City's Serge Ibaka finished second with 294 points and Orlando's Dwight Howard, who had won the award each of the previous three seasons, finished third with 186 points. Players were awarded five points for each first-place vote, three points for each second-place vote and one point for each third-place vote received. With Chandler anchoring the middle, New York's defense improved markedly from the previous season in multiple categories. The Knicks ranked among the top half of the league in several key defensive categories, including opponent turnovers per game (17.0, 2nd), opponent field goal percentage (.442, 10th), and opponent scoring (94.7 ppg, 11th). Opposing teams averaged 22.5 more points and shot .520 from the field when Chandler was not in the lineup. Opponents shot .438 with Chandler in the lineup. In addition, Chandler grabbed 22.1 percent of his team's defensive rebounds when he was on the floor. 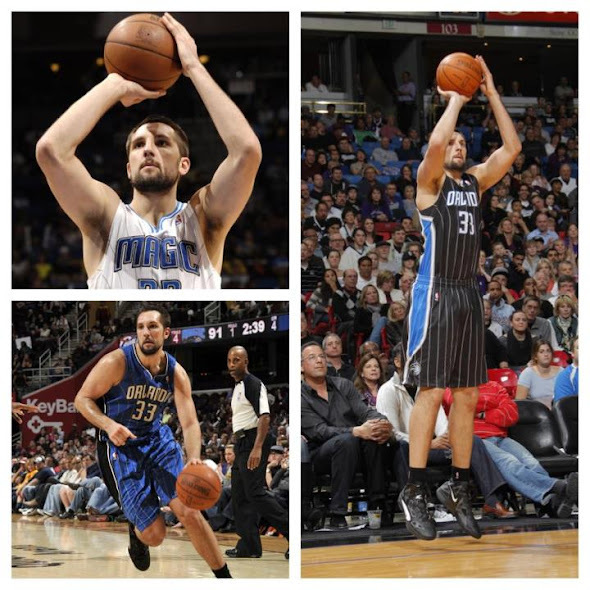 Ryan Anderson of the Orlando Magic is the winner of the 2011-12 Kia NBA Most Improved Player Award, the NBA announced today. The annual award is presented to a player who has made a significant improvement from the previous season. Anderson received 260 of a possible 605 points, including 33 first-place votes, from a panel of 121 sportswriters and broadcasters throughout the United States and Canada. Ersan Ilyasova of the Milwaukee Bucks (159 points, 21 first-place votes) and Nikola Pekovic of the Minnesota Timberwolves (104 points, 10 first-place votes) finished second and third, respectively. Players were awarded five points for each first-place vote, three points for each second-place vote and one point for each third place vote received. Anderson established career highs in scoring (16.1 ppg), rebounds (7.7 rpg), field goal percentage (.439) and free throw percentage. He also paced the league and established personal bests in three-pointers made (166) and attempted (422). 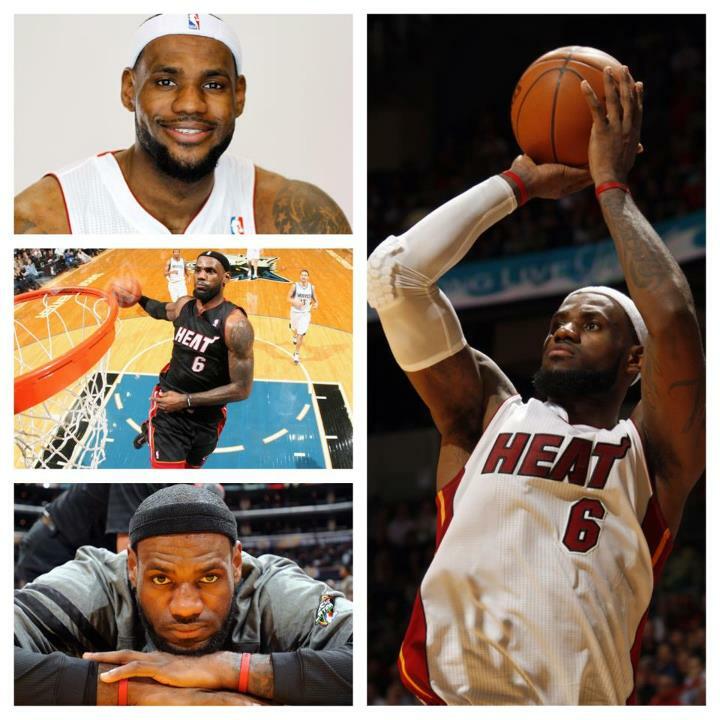 He increased his scoring from the previous season by 5.5 ppg and his rebounds by 2.2 rpg. Orlando averaged 107.5 points per 100 possessions with Anderson on the court, compared to 94.1 points with the 6-10 forward on the bench.